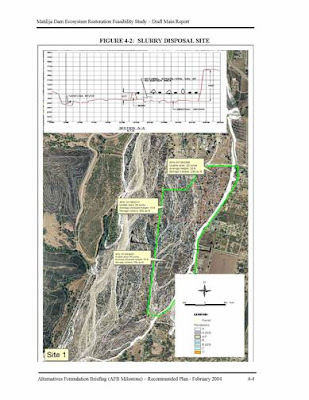 2 million cubic yards of fine sediments from Matilija reservoir are to be removed by slurry pipeline and deposited within the floodplain downstream. It was intended that these disposal sites would be temporary and would erode downstream into the ocean during future floods. These sites were selected and presented to the public as the preferred alternative in the Feasibility Study and Environmental Impact Report. 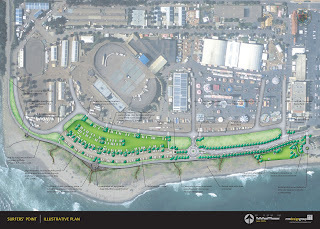 This was an alternative approach to the plan originally proposed by the Corps of Engineers to deposit the fines below the trailhead to the recently acquired Ventura River Preserve. After months of rumors, this 'Plan A' has been reborn as MODA - Meiners Oaks Disposal Area. Originally estimated to be 90 acres, 15 feet deep, this has been reduced to 70 acres, over 35 feet deep. The Corps of Engineers cites cost savings of $5M as the reason for reverting back to this alternative. This is a fundamental change from the several smaller temporary disposal sites presented in the Feasibility Report, to a single more permanent site. 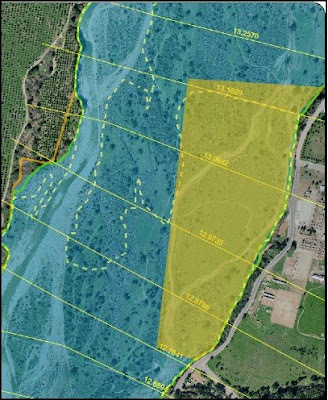 This site would require careful design and restoration to ensure revegetation, prevent flooding from upland tributaries, and integrate with the Meiners Oaks levee design. This site also has significant impacts to recreation, since it is below the primary trailhead for the Ventura River/El Nido Preserve, one of the only highly utilized public access points within the entire watershed. 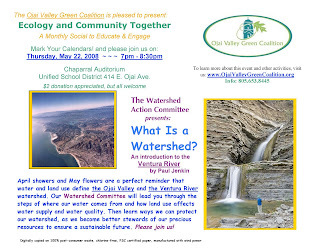 On Thursday evening, May 22, over 40 people attended the "What is a Watershed?" presentation in Ojai to learn about where our water comes from and how the health of the river is affected by our lifestyles and land use. The presentation included discussion of Ecosystem-based management for the Ventura River, Water Supply, Land Use, Water Quality, Integrated Solutions, and What You Can Do. Although most Ojai residents have some idea of where their water comes from, this presentation is intended to enhance community awareness of the interactions between land use and water quantity and quality. Hopefully those who attended will have a better understanding of the interconnections between everything we do on a daily basis and the health of the river and watershed. Ventura City Council June 9th meeting - approval of the MOU (Memorandum of Understanding) with the Fair Board for the operations and maintenance of the project. According to city staff there were no concerns with the latest minor changes requested by the Fair Board. The MOU is in line with the deal points approved by the City Council in April 2007. 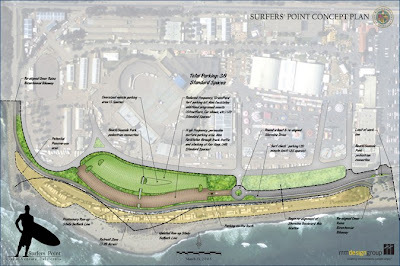 City of Ventura will also be amending the project EIR and Coastal Development Permit to allow the City to begin bringing recycled asphalt from road work to the Fairground to begin covering up the dirt parking area as requested by the Fair Board in the MOU. 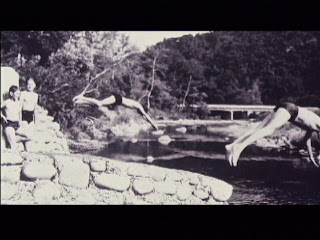 The "Tortilla Flats Archives" includes interviews from over 25 oral history subjects. Quotes from those 'old timers' include: "I don't know who tagged us, but we were 'River Rats' if we swam in the Ventura River... 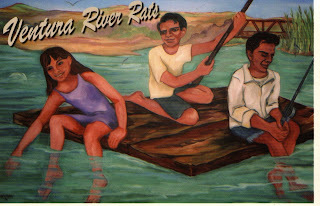 I got beautiful childhood memories of the Ventura River, the fairgrounds, Seaside Park... we used to go surf fishing at the foot of Figueroa... we looked forward to getting out of school to go to the river, and we'd be there for hours and hours..."